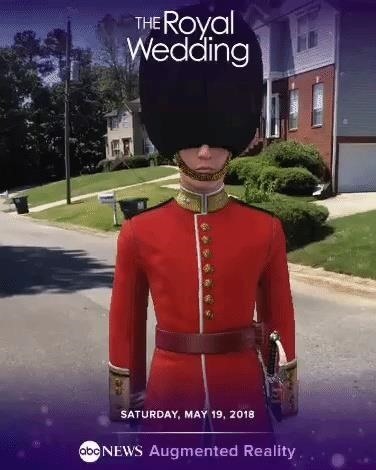 If you have yet to receive your invitation to next weekend's royal wedding in the UK, then you can still experience part of the pomp and circumstance in augmented reality courtesy of ABC News. 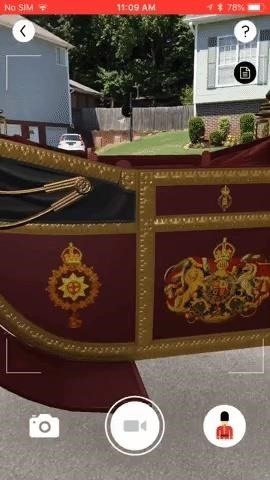 A new update to the ABC News iOS app brings a blue-blooded augmented reality experience to iPhones and iPads capable of running ARKit. 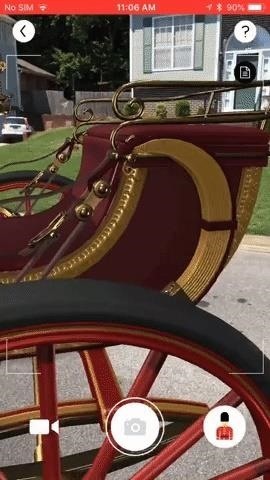 Upon launching the experience, users are able to view 3D models of the royal wedding carriage and a member of the queen's guard. Users also have the ability to adjust the scale of the models with pinch gestures on the touchscreen. 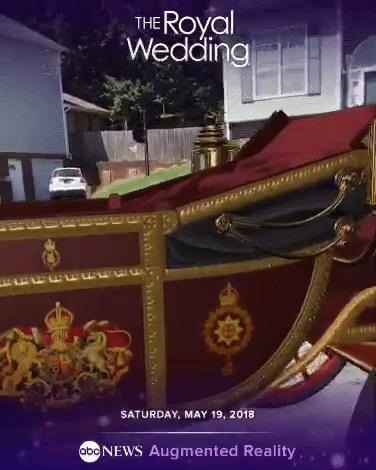 As expected, users can capture photos and video of the experience to share with others, preferably under ABC's suggested hashtag, #RoyalWeddingAR. Additionally, users can click the notes icon to learn more about the items. For instance, I now know that the carriage was built in 1902. Knowledge is power! Over the past year, media outlets have begun to increasingly adopt augmented reality in news coverage. Even before its absorption into Meredith Corp., Time, Inc. began rolling out AR covers and embedding AR content in the pages of certain issues. Also, The New York Times added augmented reality to its coverage earlier this year, with AR content on the Winter Olympics, David Bowie, and NASA gracing the pages of its mobile app. However, this latest example of the evolution of journalism from ABC News feels like the bar is being lowered rather than raised. Sure, the content is well-rendered, but the subject matter is fairly vacuous and the information is scant. 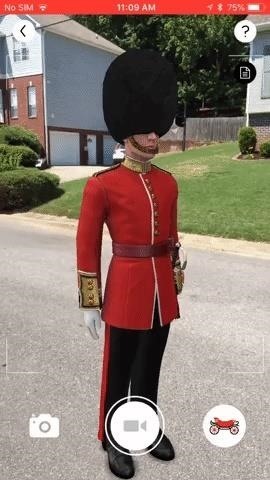 Instead of meaningful, informative content, the first entry from ABC News into this new AR medium is more of a gimmick than a helpful tool. Nonetheless, it's common knowledge that these events are draw huge interest from certain demographics. 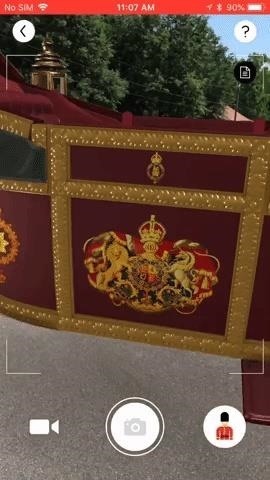 So, from a marketing perspective, I suppose using AR to draw more interest in the UK's royal family is fair game, as we've certainly seen multitudes of use cases for selling products and services via AR. Still, from a journalism perspective, the app is a bit of a letdown.